A bold surround with a delicate curved header. 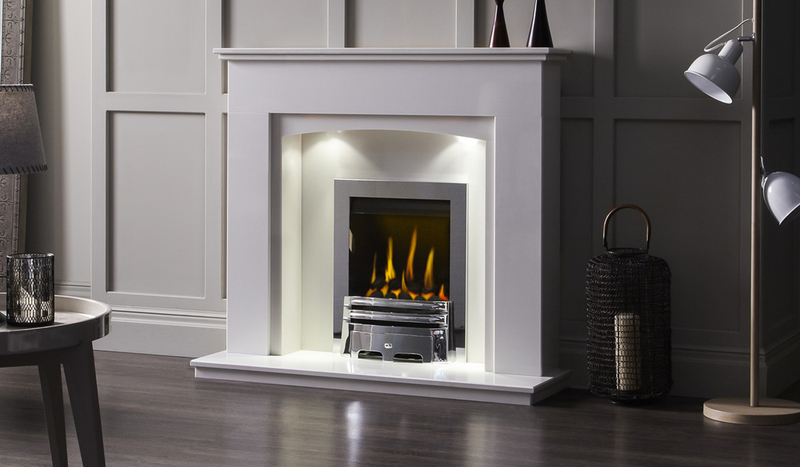 The clean lines are highlighted by a set of downlights showcasing the natural beauty of the marble finish, while a bevelled shelf and lipped hearth add an extra level of detail. The Marseille is a versatile surround that looks great with a wide range of fires, a worthy centrepiece in any room.